Whenever I made Aloo Bhindi, it always ended up as a dry curry, this time I wanted a gravy with it, gravy in the sense, not dry. Though the list of ingredients for both the curries are almost the same, with a slight variation I finally got it. 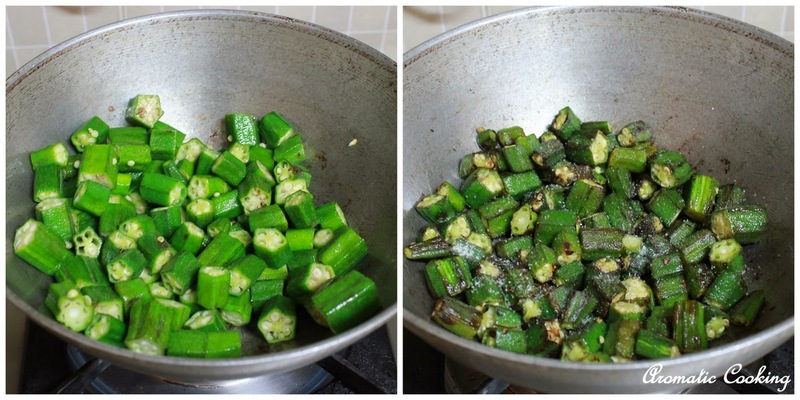 It tasted very good and goes well with rotis and naans..
Saute the diced okra in a little oil till done, add some salt mix for 2 to 3 minutes, remove and keep. Heat some oil, add the mustard and cumin seeds, when it starts spluttering, add the sliced onions and saute for 2 minutes, then add the asafoetida, turmeric, chilly and coriander powders, salt and mix for a minute. Now add the potatoes and mix for another minute, then add the tomatoes, grated ginger and besan flour and mix for one more minute. Add the okra, 1 cup of water, fenugreek powder, sugar and garam masala and cook everything together for 2 to 3 minutes and switch off. 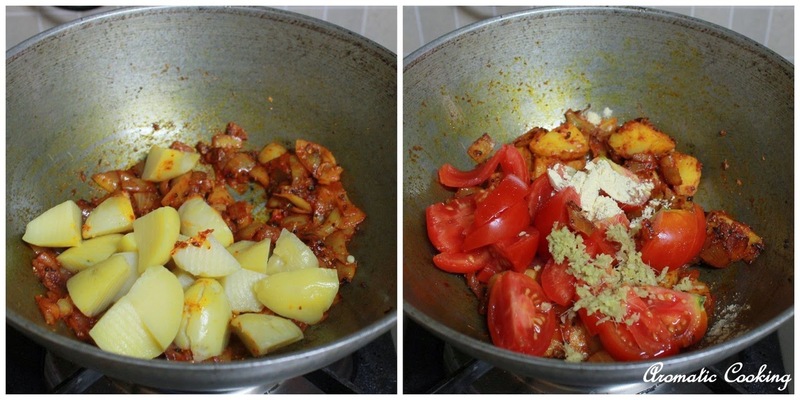 Use ripe tomatoes and don't saute till mushy, just mix and add the water. Remove the curry while it still has some liquid, it thickens as it cools because of the besan flour. You can add some dry mango powder or amchur powder too along with the garam masala. 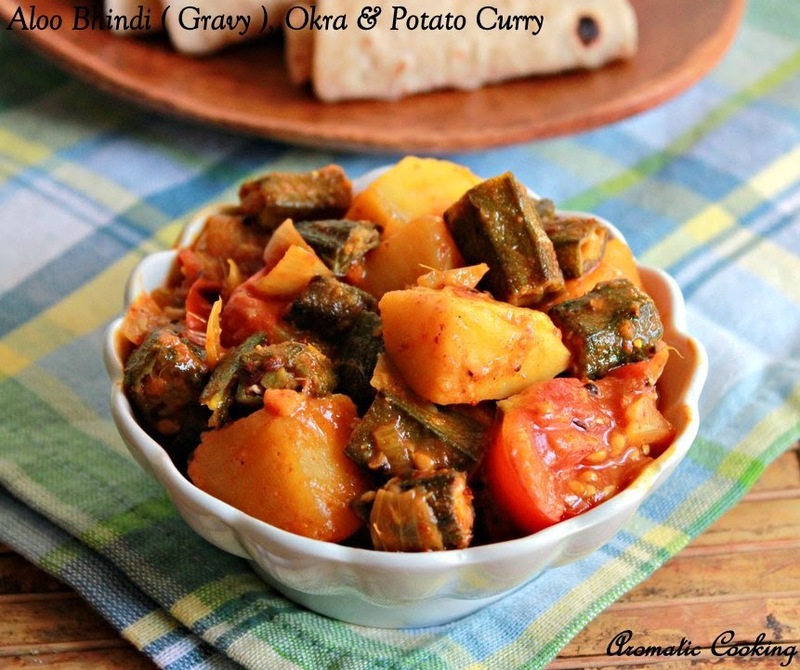 A prefect side dish for rasam rice,makes me hungry. healthy and tasty curry. 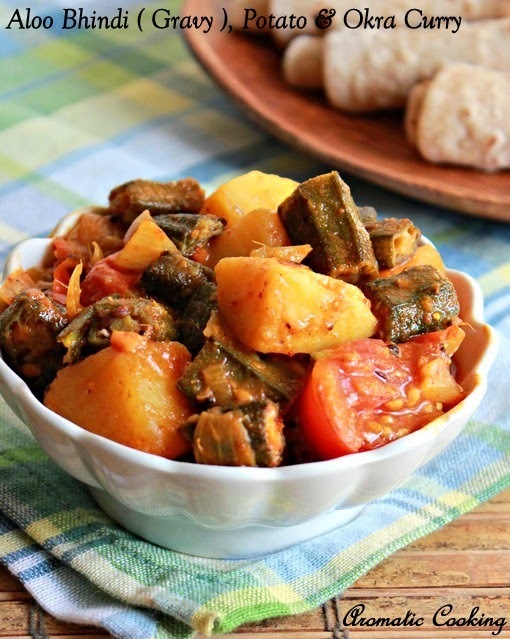 okra with potato will taste yumm. Your dish looks delicious. Thanks for the step by step pictures. It really helps in getting a visual of the whole process. Very colourful and tempting! Loved the clarity of the pic.